Hire a battle tested, tenacious trial lawyer. Hailstorms, which typically occur during the spring and fall, can bring widespread damage. Recent April 2016, hailstorms in the San Antonio area have caused damage in the hundreds of millions of dollars. Hailstorms, with high winds, driving rain, and pelting hail can demolish homes and businesses. Hailstorms often damage windows, siding, roofs, and sometimes the internal structure. This type of hail damage often results in denied or underpaid insurance claims. If your hail damage claim has been denied or underpaid, having lawyers and experts on your side can make all the difference towards receiving the full value of your claim. Contact one of our insurance claim lawyers. Homes are frequently our biggest asset and investment, but insurance companies rarely treat your home the way you do. Insurance companies do not have your best interest at heart, instead opting to protect their bottom line over making you whole. If your home or business has been damaged by hail, you may have questions about how to best going about making a claim. Below is helpful advice for successfully navigating your hailstorm case from start to finish. Getting started with insuring your property before a hailstorm hits. What duty does the insurance company have when handling your hailstorm claim? How to make an insurance claim for damage to your home? Strategies for making a claim for business losses due to a hailstorm. 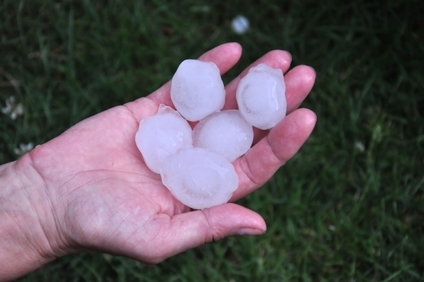 Answers to frequently asked questions about hail damage claims. The Law Office of Mynor E. Rodriguez P.C. has worked with homeowners, business owners, and many others to take on the insurance companies. They have worked to ensure their clients receive the compensation they deserve. We are well versed in the typical defenses, excuses, and reasons insurance companies give for wrongly denying or failing to pay full value of these claims. If your insurance company has delayed, denied, or underpaid your hail damage case, call us to help you get the compensation you deserve.